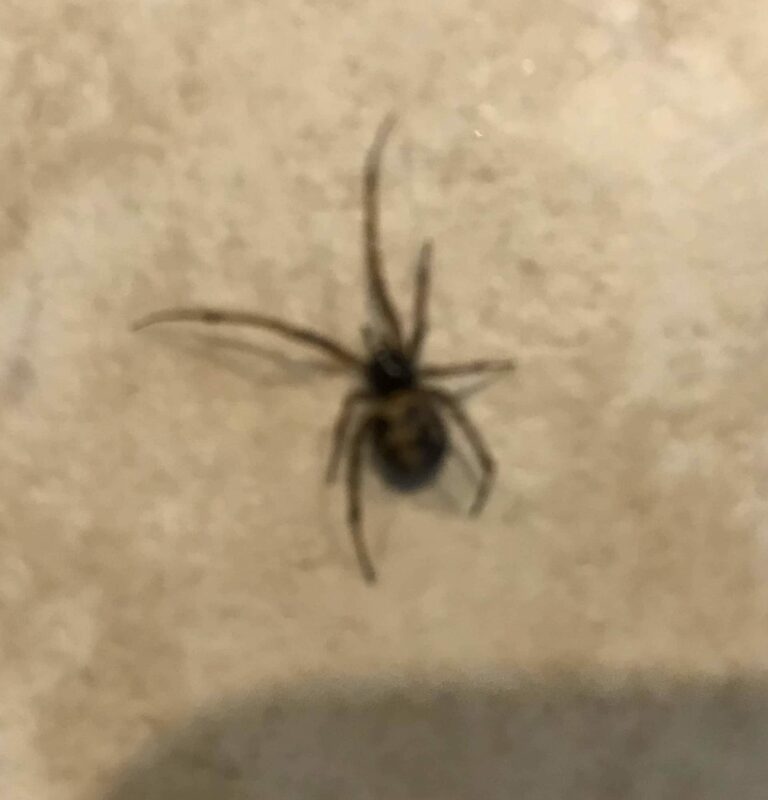 Is this a spider we need to be concerned about being in our house? We have a baby and we are worried there could be more and they could bite our baby. 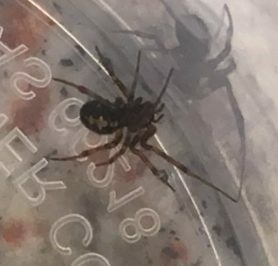 Is this possibly a black widow? 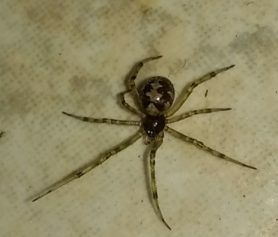 The pattern on its back was brown, not red, but still a pattern like a black widow. Wow! Thank you!! 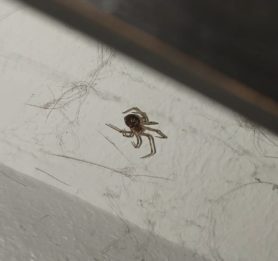 What a relief it’s not a black widow! All of this information is SO helpful! It has occurred to me that my feelings about spiders stem from my ignorance… if I had knowledge like yours I wouldn’t be so scared of spiders! Again thank you for this wealth of information! Thank you for your time! !